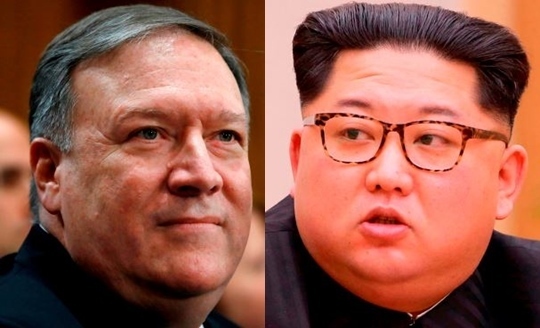 Mike Pompeo, director of the Central Intelligence Agency, recently travelled to North Korea to meet with its leader Kim Jong-un, US media reported Wednesday, boosting prospects for the upcoming North Korea-US summit. 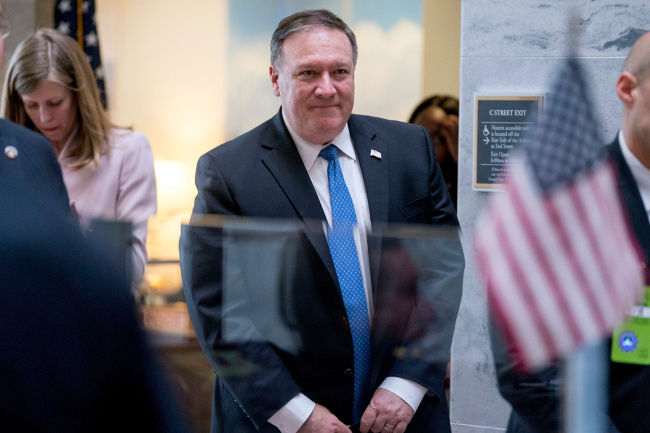 Pompeo, nominated to be the next US secretary of state, made the secret trip as an envoy of President Donald Trump over the Easter holiday, the Washington Post reported, quoting two people with direct knowledge of the trip. Pompeo’s trip, which was the highest-level meeting between Washington and Pyongyang since 2000, came ahead of a potential summit between Kim and Trump, expected to take place by early June. A few hours before the news reports surfaced, Trump told the press that the US was in direct talks with the North at “extremely high levels” during his meeting with Japanese Prime Minister Shinzo Abe at his Mar-a-Lago resort in Florida on Tuesday. Trump said that he could meet with Kim “in early June or a little before” and five locations are under consideration for the historic meeting. But he also said it was possible that the meeting might not happen at all. “It’s possible things won’t go well and we won’t have the meetings, and we’ll just continue to go along this very strong path that we’ve taken,” Trump said. Trump also confirmed that North and South Korea are working to negotiate a formal end to 1950-1953 Korean War at the inter-Korean summit later this month. The two Koreas are still technically at war as the Korean War ended in an armistice, not in a peace treaty. The US-led United Nations command, China and North Korea are the signatories to the agreement. South Korea was a member of the United Nations Command but was not a direct signatory. A peace treaty is thought to be one of the measures to guarantee the North Korean regime security in return for the communist state agreeing to give up its nuclear weapons program. Ahead of the Trump-Kim summit, Moon Jae-in will hold a summit with Kim on April 27 at the truce village of Panmunjeom to discuss North Korea’s denuclearization, ways to establish peace on the Korean Peninsula and improve inter-Korean ties. Pompeo, who was nominated to replace Rex Tillerson in March in the wake of Trump’s unexpected decision to hold talks with the North Korean leader, expressed optimism about the upcoming summit at his confirmation hearing for the secretary of state post last week. “No one is under any illusions that we will reach a comprehensive agreement through the president‘s meeting,” said Pompeo, who has reportedly led preparatory talks through intelligence channels with Pyongyang for the summit. “I’m optimistic that the United States government can set the conditions for that appropriately so that the president and the North Korean leader can have that conversation that will set us down the course of achieving a diplomatic outcome that America so desperately -- America and the world so desperately need,” Pompeo said.